Earlier this year, as part of our look back at 2018, we invited readers to vote for their favourite new pinball from the previous twelve months. 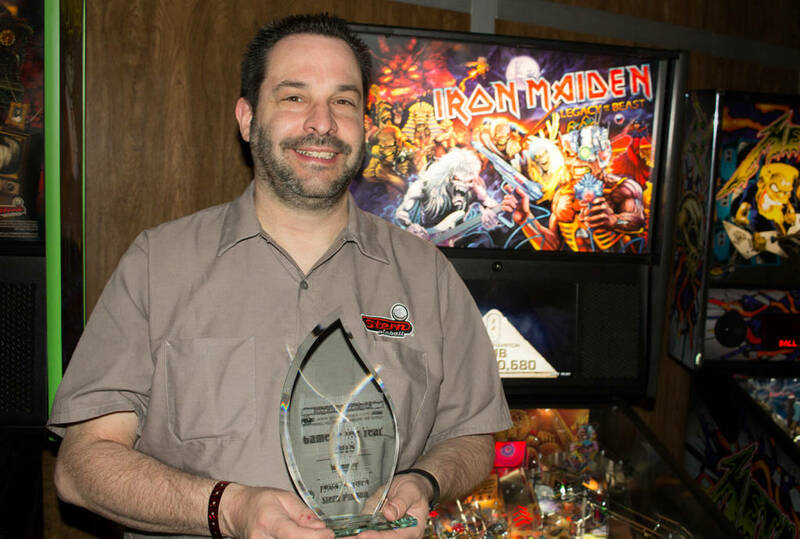 With nearly 40% of the votes, Iron Maiden from Stern Pinball was voted the Pinball News Game of the Year 2018. At the Arcade Expo show yesterday, Pinball News presented the award to Mike Vinikour from Stern Pinball on behalf of the whole team which worked on the game. 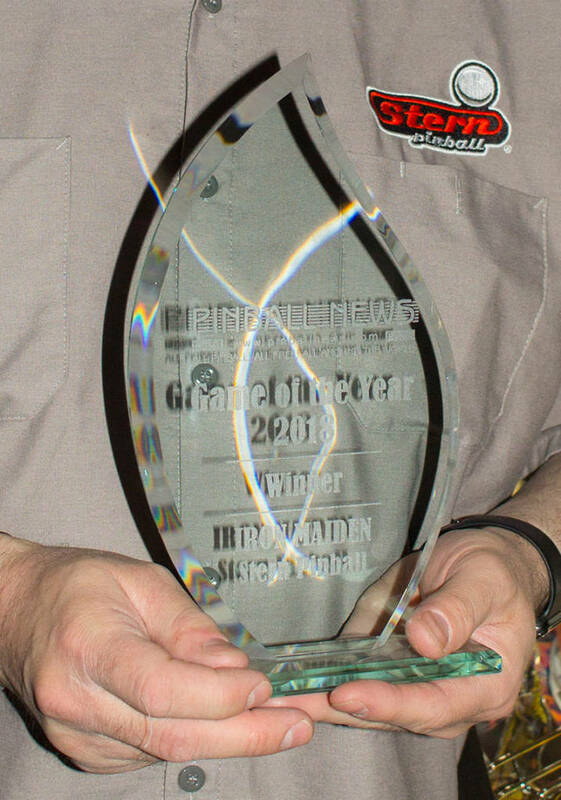 Mike has taken the jade crystal award back to the team at the Stern Pinball factory in Elk Grove Village where they are busy developing their next titles. Which game will win the coveted Game of the Year title and trophy for 2019? Only you can decide, by voting in our Review of the Year 2019, published at the end of the year.